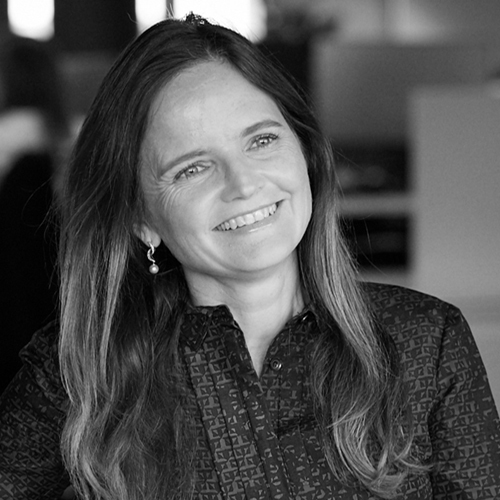 Charlotte Hogg is executive vice president and chief executive officer for Visa’s European operations. Charlotte brings more than 25 years of experience in financial services, bank operations and management consulting to Visa. Most recently, Charlotte served as chief operating officer for the Bank of England, from 2013 to 2017. Prior to that role, she led retail distribution for Santander in the UK and worked at Experian as the managing director of UK and Irish operations. Previously, Charlotte was at Discover Financial Services, as CEO of Goldfish Bank. Earlier in her career, she was a managing director for strategy and planning at Morgan Stanley, and a management consultant at McKinsey & Company, based in the U.S.
Charlotte graduated from the University of Oxford with a B.A. in Economics and History. She is a Kennedy Memorial Trust Scholar from Harvard University, and has an honorary Doctor of Laws from Warwick University. Charlotte serves on the board of Now Teach, a U.K.-based program designed to help successful professionals re-train as teachers, and has had roles supporting BBC Worldwide and Oxford University Press. 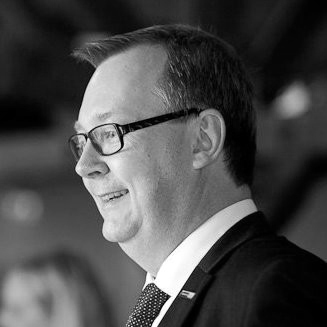 Bo Nilsson joined Nets in May 2013 and served as CFO until he was appointed CEO in August 2014. Together with his leadership team, Bo has led Nets through its transformation from 2014 through 2017, taking the company from being a bank-owned to an independent commercial company whilst significantly improving the company’s operational performance. During Bo’s leadership, Nets has accelerated its growth while at the same time leading innovation and pushing leading-edge payment solutions to Nordic merchants, banks and businesses. Bo has pursued a career building and transforming enterprises. Drawing on his years in investment banking as Vice President at JPMorgan & Chase in London and New York during the 1990s, Bo served as CFO and member of the Excutive Committee and main board at Media Capital, a leading media corporation in Southern Europe, from 2000 through 2006, and in 2006, he co-founded LeYa SGPS, SA and served as Managing Director until 2013. 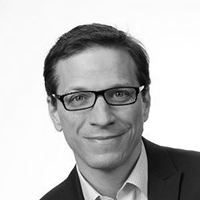 Jeff Kreisler is just a typical Princeton educated lawyer turned award-winning comedian, best-selling author and champion for behavioral economics. His second book, Dollars And Sense: How We Misthink Money and How To Spend Smarter – co-authored with Dan Ariely – was dubbed one of the Best Business/Personal Finance Books of the Year by The Washington Post (“A brilliant and accessible look at behavioral economics“), Business Insider (“It’s the rare kind of book that makes you feel a lot smarter, while simultaneously giving you actionable tips for improving your daily life”), Audible.com, The Huffington Post and more. It is now available in 22 countries. 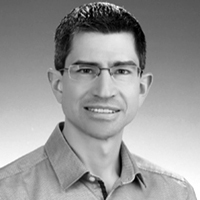 Jeff also wrote the e-book Behavioral Economics: The Bank’s Secret Weapon with Strands, a Spanish fintech company and is Editor-in-Chief of PeopleScience.com, a new thought-leadership platform about applied behavioral science. He won the Bill Hicks Spirit Award for Thought Provoking Comedy, writes for TV, politicians & CEOs, has appeared on CNN, FoxNews, MSNBC, CBC, BBC, Current TV & Sirius/XM and has toured most of the known world. Jeff tries to use behavioral science, practical experience and humor to understand, explain and change the world. 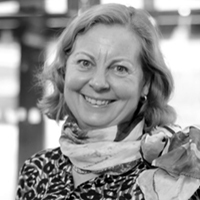 Chair of the Scottish Financial Enterprise FinTech Collaboration and Innovation working group and appointed as a Government’s Fintech Envoy for Scotland, Louise is recognised at a national and international level and regularly contributes to thought leadership programmes on transformation and digital disruption. Most recently, Louise was recognised at The India Fintech Forum in Mumbai, The Times Future Scotland series and The Global Investors Meet in Chennai. She has also been published in The Times, The Financial Times, and contributes to a number of podcasts and interviews on the landscape of Financial Services. 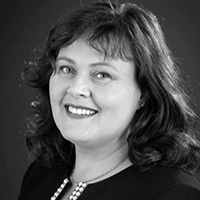 Louise has extensive experience in transformation across Financial Services and in particular using customer experience and insights to simplify and differentiate service to customers. Specific interests in areas such as driving greater connectivity and collaboration across the Financial Services community, digital design and customer experience, making banking simple and accessible, growing and nurturing an innovation culture. 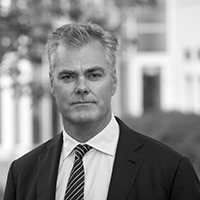 Thomas Jul joined Nets as Group Executive Vice President, Financial & Network Services, in October 2017. He has 20 years of experience from the Telecommunications sector, where he worked 20 years for Nokia and Ericsson across the world. Prior to joining Nets, he was President & CEO of Ericsson in Indonesia and has worked globally for most of his career. He has a background in Software Engineering and holds a M.SC. in Software Engineering from Aalborg University. Gabrielle is an investor at Plug And Play and an expert in POC to production processes within financial institutions. 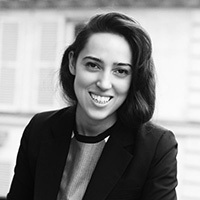 Gabrielle relocated from California to support Plug And Play Fintech’s expansion by identifying high-priority fintech solutions, accelerating pilots and following their subsequent integration within banks across Plug And Play’s EMEA presence in Paris, Frankfurt and Abu Dhabi. In parallel she provides VC funding to early-stage startups along with expertise in scaling and access to new markets. Prior to this she designed and executed the open innovation process at Citi, launching high-impact programs to crowdsource fintech and regtech solutions and built financial products at Bloomberg. 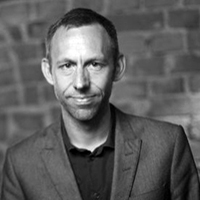 Per Aström has worked in the media industry since 1999 in the intersection of technology, products and people. First at the digital departments of Aftonbladet (Swedens largest evening newpaper) and then Schibsted (Norwegian media group), Svenska Dagbladet (morning newspaper) and TV4 (swedens largest commercial broadcaster). I’ve held various roles such as head of technology and head of innovation, but also worked with business development. I co-founded a VR company in 2016 and in 2018 I joined Swedbank. I am now a part of our Digital Innovation and Strategy team working with Open Banking, APIs and partnerships. International mindset experienced in digital innovation and transformation in financial institutions, currently employed in Erste Group Banks department for Group Digital Governance. 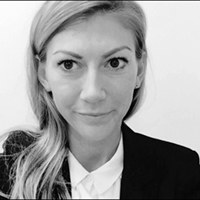 Nora has worked across multiple digital disciplines in Retail both large and small sized companies in financial institutions, agencies and as a Consultant. With a strong focus on digital enablers such as implementation of aggregation services and digital onboarding, Nora was mainly operating in the area of digital sales, business development and strategic partnerships. She has a strong practical experience from the above mentioned fields in CEE region. Between 1998 and 2004 Jacques was founder/owner of the first Social media platform in Luxembourg. His website was the most visited site in Luxembourg for several years by convincing their users with regular innovative ideas. 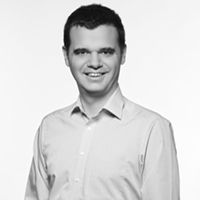 Between 2007 and 2017 Jacques was Deputy Head of the Electronic Banking Development Team of BCEE ( Banque et Caisse d’Epargne de l’Etat). In 2012 Jacques received the Young ICT Talent of the Year Award and in 2017 his team won the ICT “Team of the Year” Award. 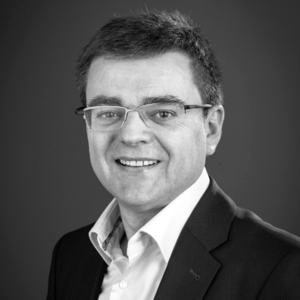 In 2018 Jacques joins LUXHUB as CEO, an European Open Banking Platform founded by 4 major Luxembourgish Retail Banks. Jacques has a strong experience in Electronic Banking, Innovation, Social Media and love to transpose non-standard outstanding ideas. 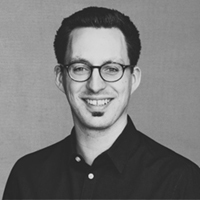 Beat Bannwart holds a Master of Science in Physics from ETH Zurich and is currently responsible for Innovation Solutions & Partnerships in UBS Group Innovation. In this role, he is responsible for the design and development of new business concepts and solutions resulting from evolving client needs and behaviors, market, technology and industry developments. Prior to joining UBS as Head Strategic Innovation & Market Development for Corporate & Institutional Clients, he was consulting financial institutions on regulatory matters at KPMG. Before that, he held various positions with international banks in the field of corporate banking such as Chief Operating Officer of the Swiss branch of Fortis Bank. In this capacity, he was responsible for the business development and the later integration into BNP Paribas. 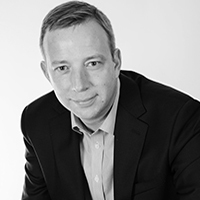 Beforehand, he was Chief of Staff for Cash Product Sales EMEA at Citibank’s Global Transaction Services. Passionate about banking, fintech and innovation, she has spent the last few years working in diverse projects helping banks with their strategic challenges at the level of Management, International Business, IT, Marketing and Innovation. 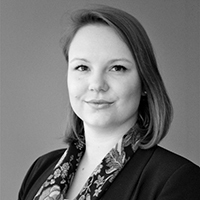 Natalie is a graduate of Business Economics at UCL (UK) as well as Political Science and Economics studies at the University of Vienna. Prior to her work at WSBI-ESBG, she has been engaged in project and campaign management for various international organisations and associations including the European Commission. 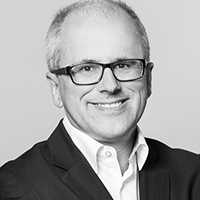 Florian Schwabl is Partnerships manager and takes care of the needs of banks and financial institutions which partner with figo. In his role, Florian accompanies the figo partners from the initial contact to the go live. Prio to that role, Florian worked as a business development manager at the mobile payment player Zapper. Florian graduated from the Hamburg University of Technology with a Master in Industrial Engineering & Business Management. About figo: As a B2B provider, figo enables third parties to access various financial sources through the integration of technology. This includes processed data of bank accounts, credit cards, deposits, Paypal accounts, as well as a variety of FinTechs. Since August 2018, figo GmbH is a regulated institution to provide payment initiation (PIS) and account information services (AIS), which are regulated under PSD2. Arunan Tharmarajah is the Head of European Banking at TransferWise. TransferWise is a financial company for people and businesses that travel, live and work internationally. It’s the fairest, easiest way to manage your money across borders. With a simple money transfer platform and borderless accounts, it makes managing your money quick, easy and painless. TransferWise customers send over £2bn every month using the service, saving themselves £2m every day. It’s attracted $397m from investors such as world’s largest VC firm Andreessen Horowitz and Sir Richard Branson. 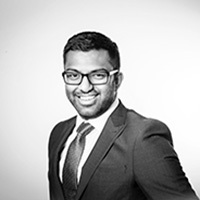 Prior to joining TransferWise, Arunan worked as an Associate Director at Barclays focusing on correspondent banks in the Americas. He has also worked in a variety of Cash Management roles covering both banks and non-bank corporates. 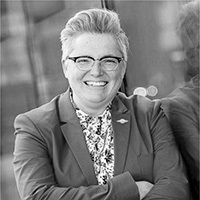 Berit started as a scientist at the research institute of Televerket (later Telenor) in 1988 and has until recently worked at Telenor. She had several roles in the company, EVP and CEO for Telenor Norway and from March 2017 to September 2018 she was responsible for all Telenor’s activities in Scandinavia. 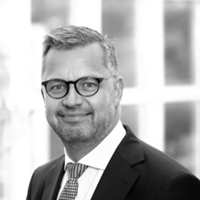 Berit is engaged in several areas of Norwegian business and industry through the role as a board member of DNB, the largest bank in Norway. She has the heart of a true tech enthusiast and curious about innovation and development. In 2016, Berit was named one of Europe’s fifty most inspiring women in the technology world by Inspiring Fifty. In 2017 and 2018 she was named the most powerful woman in Norwegian business by Kapital, the largest business magazine in Norway. Berit started in Vipps in November 2018 to lead the international expansion of Vipps and has already created headlines in international media through the initiative on creating international interoperability between mobile wallets. Based on the local successes of the mobile wallet and electronic ID’s, her focus today is how other countries can achieve similar successes in collaboration with Vipps, to create more digitised and cashless societies worldwide. 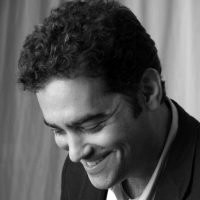 Christian Bieri is CCO of Custodigit. After various positions in consulting and the banking sector, he worked for the Fintech company Avaloq for 10 years and contributed significantly to the rapid growth he pushed ahead with international expansion of the banking software provider. With two listed companies as investors, he subsequently founded Fintech Qontis and led it as CEO. 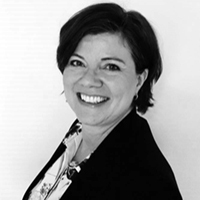 Mette has a +15 years of experience in the financial industry working on new innovative ways to pay and new digital initiatives. 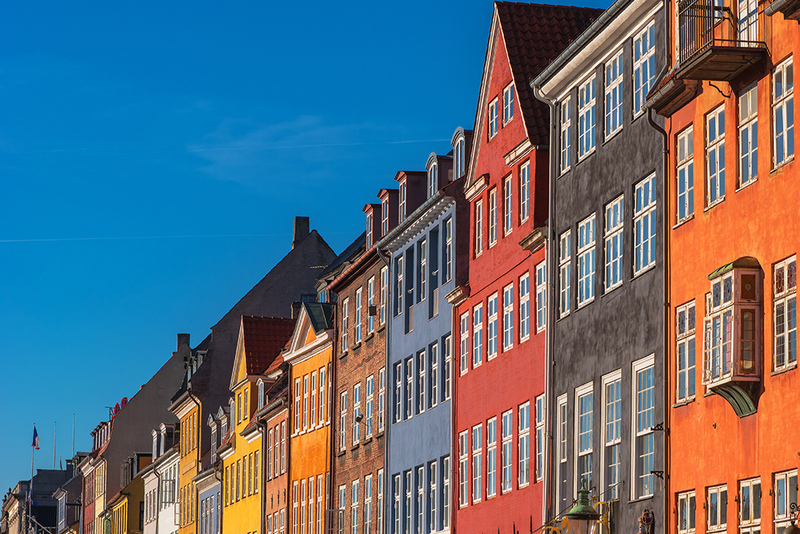 She has been part of some of the major initiatives, like e-Boks, mobile payments and Dankort, that has led Denmark to be one of the most digitised countries in the world. She also has a career working international for companies like Microsoft and Accenture, focusing on mobile and digital services. 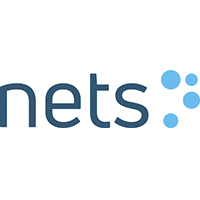 In 2018 Mette joined Smart Payments in Nets where she focus on how Nets’ customers can improve their customer experiences through new frictionless ways to pay like biometrics. Metro M2 – DirectionVanløse st.
Metro departs every 4 min. Bus 1A – Direction Hellerup St. Bus departs every 4 – 6 min. 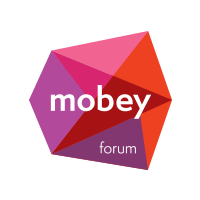 Mobey Forum is the global industry association empowering banks and other financial institutions to lead the future of digital services. They connect industry thought leaders to identify and understand commercial drivers for a better customer experience. Nets see’s it’s easier products and solutions as the foundation for growth and progress – both in commerce and society. They help financial institutions, businesses and merchants make tomorrow a little easier for their customers while delivering unrivalled security and stability. Powering a tomorrow that’s easier than today.